Can you smell what I smell? I recently purchased a kit called “Le Nez Du Vin” that professes to teach me how to identify various aromas in a glass of wine. The kit, which is imported from France, comes in a dictionary-sized case covered in red fabric so that it resembles an old book. 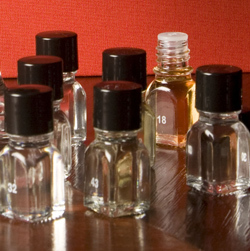 Inside are a dozen tiny glass vials, each of which is redolent of a specific, essential red-wine scent when uncapped. These vials are cosseted in crushed velvet (or likely velour). It was purchased at Williams-Sonoma. It cost $130. Go ahead: Roll your eyes; chuckle derisively; whatever you have to do. I’ll wait until you finish. OK, finished?